The Windows 10 Fall Creators Update rollout only began last week, but Microsoft is already working on the next big feature update. We’ve had a few releases from the Redstone 4 branch already, and today we get another. New builds this early on tend not to offer too much in the way of new features, but there’s a few differences this time around that Insiders might enjoy. First up, the Ease of Access settings have been updated in this new build, with related settings all now grouped together. The descriptions have been improved as well, to make it easier for users to understand what the various accessibility features actually do. The Advanced options found under Settings > Apps & Features have been updated as well, so you can now see all tasks specified by developers for any UWP apps that are set to run at startup. For Chinese users, Microsoft has updated the Yahei font to improve its "legibility, symmetry and appearance." Continuing Microsoft's efforts towards Fluent Design, in this build you’ll notice that not only has the light press effect been softened (based on user feedback), but Reveal is enabled by default in CalendarView (seen, for example, in the Clock and Calendar flyout). UWP apps leveraging the Preview SDK for this build or higher will see this change automatically. Fixed the issue where if you RDP into a PC running this build with certain GPU configurations, when you go to sign in to the PC locally it will appear stuck at a black screen with only the cursor available. Fixed an issue resulting in the touch feedback appearing visually corrupted in the last flight, with strange artifacts rather than the expected circle. Fixed an issue resulting in UNC paths not being recognized when typed using the touch keyboard with the Japanese layout. Fixed an issue where using an app in mini mode (for example Groove Music) would result in the taskbar appearing on top of a remote desktop session. Fixed an issue where using Cortana to launch an app while playing a game fullscreen on another monitor could result in the taskbar drawing on top of the game. Fixed an issue resulting in not being able to scroll to the very bottom of Start using touch when in tablet mode on small devices. Fixed an issue where mouse input in Start might become offset. Fixed an issue where clean installing Windows while not connected to the internet might result in default Start tiles showing download arrows indefinitely rather than the expected image. Fixed an issue where right-clicking a folder already pinned to Start in File Explorer would still show the option "Pin to Start." Fixed an issue where attempting to log into Windows using a VM with Enhanced Session Mode might result in being prompted for your password twice. Fixed an issue where toggling some DX9/DX10/DX11 games between windowed and fullscreen (for example using Alt + Tab) could result in the game window becoming black on certain PCs. Fixed an issue resulting in some Insiders with x86 PCs experiencing a blue screen with a HAL INITIALIZATION FAILED error when upgrading to the previous flight. Fixed an issue where Insiders with restore points set might have experienced a volsnap.sys Green Screen error on boot. Fixed an issue resulting in Microsoft Edge taking an unexpectedly long time to load the new page after clicking on certain links, appearing hung. Fixed an issue resulting in Microsoft Edge being unexpectedly slow to respond when tabbing through controls with certain third party screen readers active. Fixed an issue where settings under Windows Update’s Delivery Optimization page were unexpectedly disabled in the last flight. Fixed an issue with the Courier New font where the numeral 2 was not displaying clearly on some display configurations. Using a swipe gesture with touch to dismiss notifications from the Action Center is currently not working. 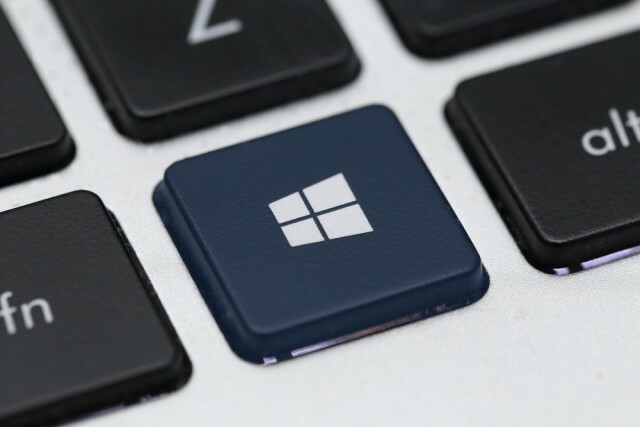 Microsoft is investigating -- for now you’ll need to use the clear all button, or use mouse/keyboard.